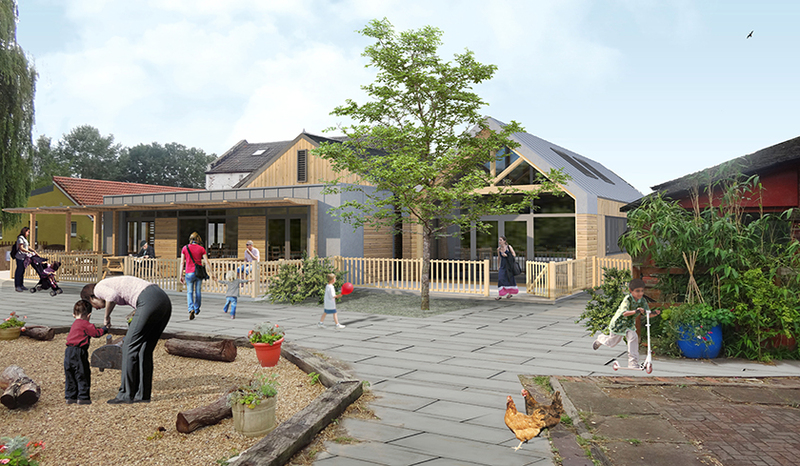 New plans to expand Windmill Hill City Farm’s facilities were unveiled at the farm’s recent 40th birthday celebrations and received an enthusiastic response from staff and visitors alike. The feasibility study was used to apply for funding the project which was awarded by the Big Lottery’s Community Business Fund this summer. Childs+Sulzmann’s designs for phase 1 of the development maintain the ethos and context of the farm by making substantial use of natural materials and will include a wide range of sustainable features including rainwater harvesting, solar power and recycled materials. A planning application for the 150 m2 scheme has now been submitted, with construction hoped to start in the New Year. Further developments at the farm are planned as second phase, for which further funding is being sought.